Yes, this is the shocked face of the recipient of that comment...tired and exhausted by the hours spent making the blancmange. Where to start? 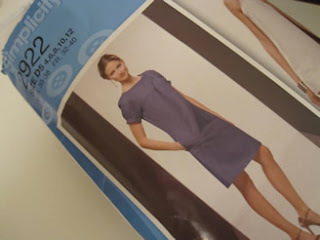 It was with utter optimism that I bought Simplicity pattern 2922. 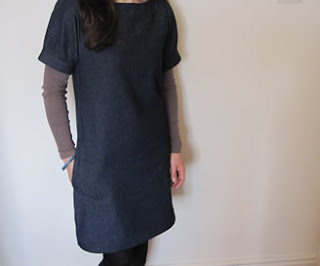 After my last post I had that awful feeling that, yes, I'd designed and made myself a dress that I loved, but I still hadn't conquered my pattern phobia and what if by following a pattern I could learn a whole host of things that would take me years of trial and error to learn by myself? I decided that it was time to revisit those whisper thin sheets of tissue paper that had scared me so much last time I'd opened a pattern packet a couple of years. The first thing that delighted me was to find that Simplicity do really small sizes - this is something that limits what I can buy horribly when buying dresses from shops - they hit my waist in all the wrong places because of being so short, the bust area tends to provide room for me and a couple of friends and they are generally just too big. The lady in the pattern shop told me that she tends to go up a size when she uses Simplicity patterns and that they are very small-cut...mmm...this was my first error. I'm usually a UK 6, so ignoring my measurements (which told me I was 4 on all but the hips, where I should have blended up a size) I decided to be on the safe side and make a size 8....yes, that's a whole 2 dress sizes bigger than I should have done. When Ian walked in he looked a little pained before telling me that: yes, it really was all horribly wrong and that I looked like a denim coloured blancmange (his own description). It's a new, but not necessarily attractive look. It was meant to look like this (yes, I optimistically thought I might end up with her legs too...but just the dress would have been a bonus). But actually I don't think even in the right size this dress would have ever been right. The cut was odd and with the gathers above the bust creating extra volume further down, the dress was crying out to be an a-line cut...it just seemed impossible that it could be anything other...but it was and from the side it meant that the dress ballooned with extra volume over the bust, stomach and bottom and then went in around the thighs (it doesn't look like it would do this from the front...but really, it did from the side). When a friend popped round she instantly said: well perhaps that's why the model has her hand in her pocket, because she actually needs to pull it out and down to disguise the boofy amount of material over her stomach...exactly. This dress had so many really adorable details in it...most of which had to be removed to try and salvage the situation. The gorgeous gathers hung from the arch line across the back. It had sets of gathers above the bust, that again, hung from an a really beautifully shaped arch (no it doesn't look so bad in this photo...but it was, just scroll to the top to be reminded...it looked even worse from the side - unfortunately Mr Teacakes didn't take any pictures of that angle before I attacked it with a seam ripper). It has really sweet pleats at the sleeves....so many things to love, but these pleats and a plain, ungathered arch were the only things that were able to stay and actually I think the puffy sleeves and yoke are still too big as I left the sizing of these things unaltered...there's a little too much material around the neck still. So below is the final dress with the ungathered yokes. 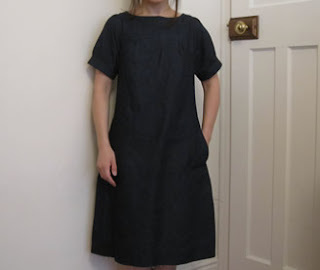 Here's the dress with several inches removed from just about every seam, which was a troublesome as it meant that I had to completely redo the pockets every time I altered it (which was about five times). I thought about keeping it this length and saving it for summer, but really I wanted to wear it in winter with thick tights, which wouldn't have worked for me at this length. So here it is with several inches lopped off the hem. 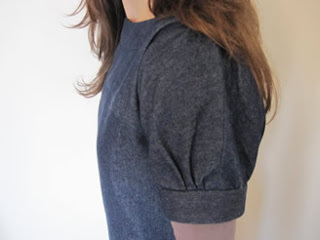 You can see what I mean about the sleeves still being a bit too puffy here. They worked in the context of the gathers that originally went with them, but now that the rest of the dress is so minimal I think that they look a little flouncy and big and they make me feel a bit manly. I wore the dress out to lunch with Mr Teacakes today...so it's not so bad that I feel the need to run away from it...but it's not quite what I was hoping for either. 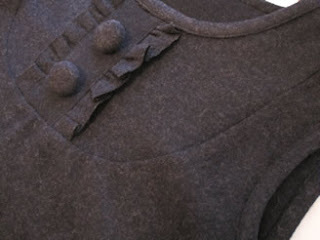 And I miss those completely lovely details of the original dress. So enough of the numerous and tedious alterations and on to how I found the actual pattern. I've since googled it to find out whether other people found it similarly disastrous and I found here that Amy of Angry Chicken had found it a challenging pattern too and so perhaps it wasn't the best one for me to start with. I thought that the detailing was divine - I would have been utterly delighted by it all, had it hung in the right way on me. It was so nice (the idea at least, it didn't work out that way in reality) that someone else had done all the hard work of drafting the pattern. 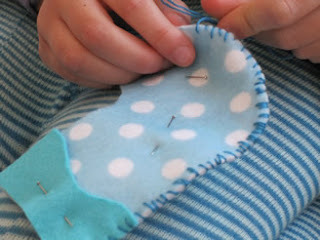 Once I understood how to use the pattern pieces and how you can blend between sizes I thought it was ingenious. The notches that you cut to use as markers to align two pieces of material were a complete revelation (I normally draw lines on, but the notches work so much better and are obvious from both sides). I thought that the sleeve that grew out of the yoke was the most wonderful idea and one that I will incorporate into my own dress designs in the future. 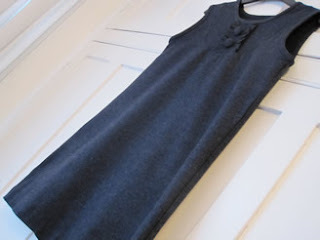 I was left with utter admiration for the people who are able to put together a dress pattern that will fit so many different sizes and even allow for you to shorten the waist easily if you are petite like me. Those pockets! They are completely adorable, so easy to do once you know how and I love them to bits. I did think on my fifth time of resewing the side seams and altering the pockets to be in line with the seam AGAIN that perhaps I should just leave them off - I'm soooooo glad that I didn't. 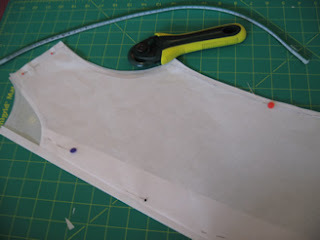 Using a pattern made me sew in a less intuitive way. 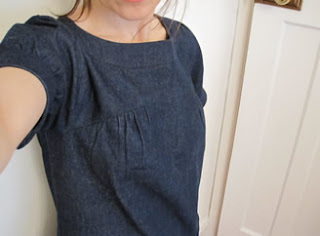 The instructions told you to apply interfacing to the neck and sleeve bands...if I'd have been thinking for myself I would have known that the denim was heavy enough all ready and doing this has left these areas feeling too weighty. I thought that the instructions were really unclear in places...so many strokey beard moments when actually what they were intending you to do was quite simple...just not very clearly communicated. The whole balloon on the bottom thing...this was the only part of the dress that I thought was badly designed...the rest was completely dreamy and would have been perfect if I'd have chosen my size more carefully. The finishing in general seemed to be sloppy - I don't feel proud of this dress on the inside and I thought lots of opportunities for achieving a more perfect finish on the inside were completely missed. A lot of the time they were instructing you to do things in a way that felt a bit like bodging it...but I'll know that for next time and will plan ahead around this as they do suggest that you can bind seams etc in the more general instructions separate from the actual pattern. It said that denim was a suitable material for the dress, but by the time I'd applied the interfacing and accomodated double layers of material in the neck band, it was too bulky to allow for a zip to be installed nicely and so it's an over-the-head dress...which is fine, but again, makes it feel poorly finished as I would have sewn it different at the start if it wasn't to have an opening at the back. 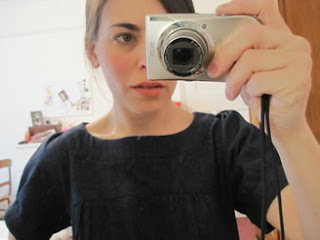 For those of you similarly bitten and smitten, I've just set up a Flickr group called Experiments in Dressmaking - I would love it if you wanted to join and add your own photos - triumphs & traumas. At some point last year I got bitten by the dressmaking bug. I think it started when my sister asked if I would make her a dress for Christmas (I'll show you that one in my next post). Because she wanted it lined and with a zip down the back, it led to me spending hours and hours thinking about dress construction and the neatest way and the best order in which to do things (yes, I'd know these things if I'd ever followed a dress pattern, but I'm happier if I work it out myself...otherwise I fear that I'll get stuck halfway through, not understand the next critical instruction in the pattern, and end up with bits of unstitched dress sitting hopelessly on my work-in-progress pile for the next decade). These thoughts were what got me through countless hours on the rowing machine and numerous spinning sessions...and in between thinking all these technical thoughts (think Eeyore having technical thoughts...that's how sharp and whippy they were), I became obsessed with thinking up ideas for shift dresses: shift dresses with buttons and piping, ruffles and pleats, fancy yokes and other things. And once I'd tackled my sister's dress, a dress that had been floating around my head like a lump of cement puzzling me for so long, I felt so elated that Ilaunched myself instantly in to making one for myself of an entirely different design. With so much trial and error the final dress looks absolutely nothing like my original sketch, but I'm pleased with it all the same. I've found that using rolls of baking parchment appeals to me more than newspaper. I have done this and later realised that there was a really awful news story on the other side and afterwards I felt awful for the victim's family that what had been written about their trauma was later being used to do things as mundane as making dress patterns...does that make sense? Either way, I somehow found myself gravitating toward baking parchment next time, which is no bad thing as it being transparent can be helpful, even though it's impossible to sellotape together, hence the pins. 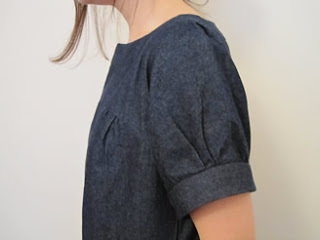 I'd originally wanted it to be a swing dress with big pleats coming down from the horizontal seam that runs along the upper back, but in my inexperience, I only later realised that I would have needed a similar amount of volume at the front to make this work visually. 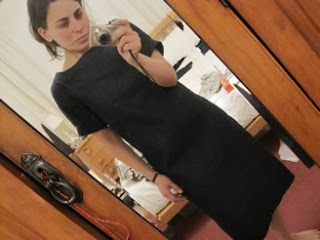 But despite the stress of having to constantly re-think, re-cut and learn on the job, I loved making this dress. 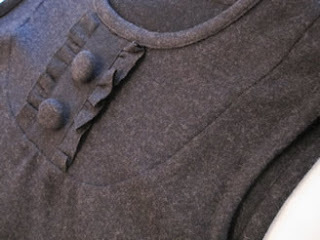 Making the ruffles and covering the buttons delighted me and I completely fell in love with the process of binding the arms and neck - it was so satisfying when it actually went right. I also loved mastering darts, which you can see (hopefully not too obviously) in the picture above). 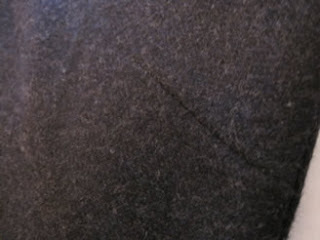 It is made entirely from midnight blue wool suiting...with no lining and no zip - it slips on perfectly over the head, so in that sense this was relatively simple. 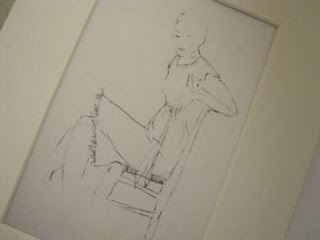 Here it is full length - it finishes two or three inches above the knee. 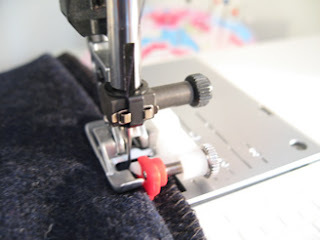 I used my blind hem foot for the hem...what an ingenious device it is - it does give a perfect finish, but actually, for those rare times when you do have time to spare (are there any of them?) 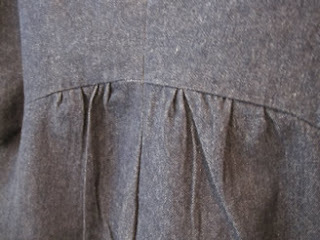 then I'm thinking that hand finishing a dress could be almost as nice as hand finishing the binding on a quilt. My learning curve with dressmaking is steep...more like a severe zig-zag up (and sometimes down) a flight of stairs than a gentle curve. I'd really like to throw myself into it in the way that I've been able to with other types of sewing - I love the learning through total submersion route - but frustratingly I don't feel justified in running myself up an entire wardrobe when fabric is relatively expensive (in that you need more than a nice little fat quarter to cover an entire person...or even part of a person) and this type of project is entirely self-indulgent...but I do have a couple of things planned for summer wear...and a couple more things to bestow upon Zebra-girl and I have a sketch pad full of dresses that I'm hoping one day will come off the page. If you too have been bitten by the dress bug (and so many of the blogs that I read are suggesting that this is indeed an infectious condition and perhaps a general affliction for 2010), then do go and have a peek at my Flickr favourites, as it's almost entirely related to the most scrumptious items of handmade clothing that I've come across and that I'm finding utterly inspiring. 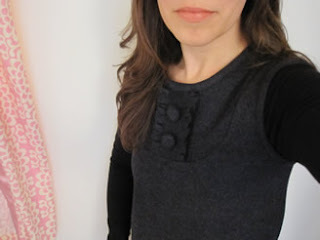 Additionally, you might like to visit The Sew Weekly, where one clever bean is attempting to sew one piece of new clothing for herself each week from vintage patterns. The idea of having 52 new items of clothing perfectly fitted and tailored to your own tastes by the end of December sounds utterly dreamy. 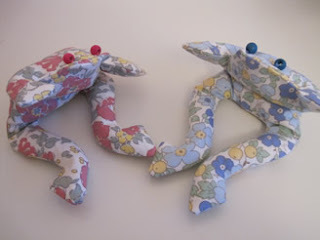 Finally, I wanted to mention Craft Hope for Haiti - what an amazing idea! For those of you who are yet to come across it, it's an etsy shop that has been set up to raise funds for Doctors Without Borders. Crafters are able to donate items to the shop where others can buy them: in doing so gaining a little lovely tangible loveliness while giving money directly to DWB. This way 100% of the profits is able to be passed on. What an amazing way of enabling both the buyer and seller to give far more than we might otherwise be able to afford to in order to help in this dire situation. 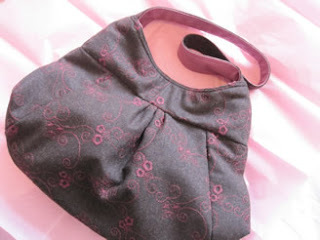 I have donated 6 Tabitha Bag PDF patterns - which I was delighted to find were all sold almost instantly - as well as one organic cotton baby bib (which is yet to sell - you can find it here - I'm happy to post worldwide and postage will not be taken out of your payment - that bit is paid by me). If bibs aren't your thing, then do go and look elsewhere in the shop if you are in need of a little self-gifting or have birthday presents to buy as it is filled with so many lovely things. It should also be said that the success of Craft Hope for Haiti has been entirely down to two stay-at-home, homeschooling/pregnant mums, who have been so inundated with people wanting to donate things that they, and the small team of helpers that they have managed to scramble, have been working round the clock, at the expense of their own families, to upload all these things onto Etsy - in the last week they have raised over $20,000. Like looking through a baby names book, reading your lists of favourite words made me want to have something to name purely for the fun of loving the words (this is probably a bad reason to have a baby or a new shop, no?). Yes, I even considered changing the name of my little shop. Made by Florence suddenly seemed an absolute waste when I could have Lemonade & Buttercups, The Marshmallow Eiderdown or The Apple Flower Boutique (that's æblebloms in Danish). There were so many new ones in there to dislike too and I shared your loathing of words such as 'soiled' and 'kiddies' and so many others...they almost feel too awful to type. But anyway, I decided to go for a highly scientific method of picking a winner: I scroll the comments page up and down while Mr Teacakes prods his finger at the screen with his eyes closed. The winner is lovely blogger Hot Fudge (a name I'd like to steal in order to eat it) from Australia who said: Easy. 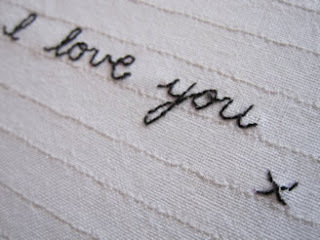 Some of my favourite words are:Tiramisu, lazy Sundays (oops ... two words), tadpoles, babies, love. And from my least favourite list:Awesome, global, male person (as in police description - what's wrong with "man"?). I bought a copy of Sew Hip a few months back while we were travelling through England. I've searched high and low here in Australia for a copy, but so far without success. I'd really love to read your articles, so hopefully I'll find a way. Please send me your address and I'll get your goodies in the post to you. I have such a backlog of things to blog, but I feel more like sharing what I've been up to today (or what I haven't really been up to). It's so frustrating when the idea that is in your head doesn't quite work out once you begin on it. For a long time now, my head has been full of images that combine drawing, printing on cotton and applique, but I haven't quite found the time to experiment. Today, in a self-indulgent, non-work orientated sort of mood I did just that. 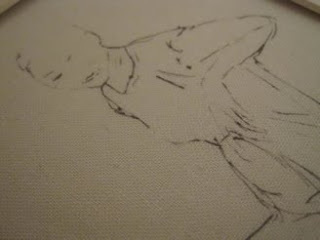 Initially I was pleased with my sketch, and I loved the finish given by printing onto cotton...but trying to applique onto my sketch or even play around with stitching over it all looked too clumsy and awful. I tried it out in so many different ways, but nothing came out the way I could see it in my head and none of my fabrics were quite right for it either (yes really...this kind of statement is one that family and friends never seem to believe having eyed the bulging fabric drawers, but it's absolutely true on this occasion). 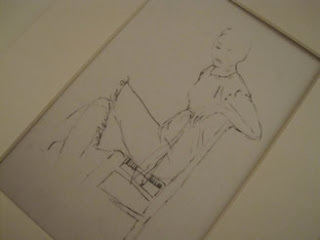 So with a day's worth of work in the bin there was one unembellished cotton copy of the sketch lying on the bed when Mr Teacakes came home, declared his absolute love for it and demanded that I put it in a frame...which was so lovely, as I hadn't gotten round to telling him about it or how dispiriting the non-appliqued picture had ended up being, so it was a much-needed morale boost and made me feel that there was something that could be salvaged from an otherwise fruitless day. He is far less enamoured with the door that I have painted, however. You may remember that I had bemoaned the hideous infill panels in our doors in a recent post (you can see a picture of one at the bottom of that post). As we have lovely old stripped wood door frames to all the doorways going off our hallway it means that I can't paint the doors without painting the door frames too...something that even I don't want to do as it's such lovely wood, however, the door in our bedroom disturbs me every time I sit in bed and have to look at it - I try to avert my eyes from it, but I still know that it's there looking ugly...and sometimes it has seemed so ugly that it detracts from the lovely images in the Sunday Times Style supplement and means that I have to turn the light off and go to sleep so that I can forget about THE DOOR. But then one day last week I woke up and realised that I could just paint one side of the door and it wouldn't have to be visible from the hallway that it was a different colour. Hurrah! My usual style of painting is to daub the paintbrush around enthusiastically for a couple of moments and then get bored and ask Mr Teacakes if he would like to take over. However, on this occasion I had a feeling he might not approve and so knew that it had to look perfect by the time he arrived home...so I spent a happy day feeling like a guerrilla painter and listening to Radio 4 and applying far more coats than the tin said I was allowed to...and this week it is finally dry. 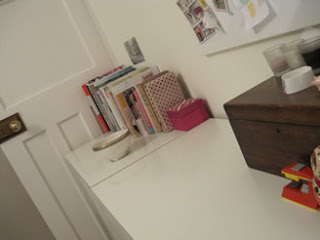 Despite acknowledging that for the first time ever my paintwork was perfect, the door was not well received and I have been expressly forbidden, in advance of my even vocalising the thought, to paint Mr Teacakes' bedside table, the wardrobe and even my own desk. This is apparently where my white-washing stops. On Friday I made this bag up for a custom order and remembered to photograph it this morning just before it was wrapped. I haven't made a bag since mid-December and I'd forgotten quite how much I enjoy the whole process, and I'm now thinking of all the summer bags that I'd like to make with the many ranges of delicious new fabrics that seem to have reached the shops in America (but are yet to arrive in the UK...oh, the patience that is required!). I am such a winter sort of person, but this is the first year that I have ever wanted summer to come...and it is nothing to do with the weather and everything to do with wanting to make summer clothes. 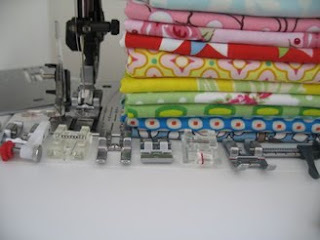 I have been bitten by the dressmaking bug and will share more of the bug's first bites in my next post. A couple of posts ago I mentioned that I wanted to show you the gift that the little Teacakes gave to me recently. 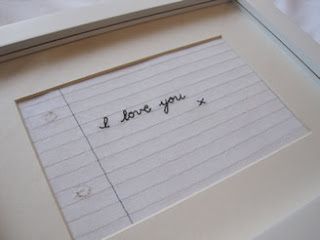 It came beautifully wrapped in their own carefully designed paper and had this handmade box inside. 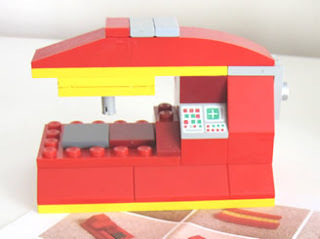 The familiar sound of bricks rattling told me that there was lego inside and on opening it I did indeed just find lots of small red and yellow lego floating about, which I was quite puzzled by. 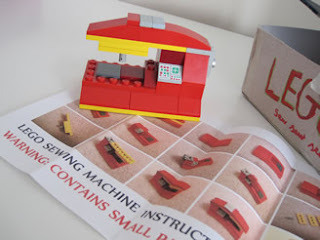 However, there was also an instruction manual included and I found that they had made me my own 'build a sewing machine kit' with photographs of each stage of construction to help me to put it together. 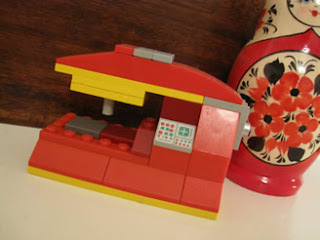 Mr Teacakes had helped them photograph each bit, but apparently they had spent well over an hour studying all the bits of my sewing machine while trying to find suitable bits of the lego to represent the fly wheel, needle and controls. It was one of the most surprising and definitely the most lovely gift that I've ever been given. It's hard to explain why it made me quite so happy and why it's now one of my most treasured possessions, but I think it's something to do with the care that they took and that it shows how very well they know me and because I can imagine just how excited they would have been while they were designing it. Also because on Christmas day when we went downstairs and saw that Father Christmas had come and filled up their stockings and left presents for them beneath the tree, they actually made me open their present before they opened any of their own....their excitement at giving it to me was completely magical and nearly made me cry. So now it lives here next to my set of Russian dolls that my Mama gave to me last year and every day it makes me smile with its loveliness. The week before Christmas we spent a day making their presents to give to grandparents and other lovelies. Zebra-girl had written a lovely story about an owl who couldn't fly, so we scanned it into the computer and made it into little books, which we bound with colourful ribbons. 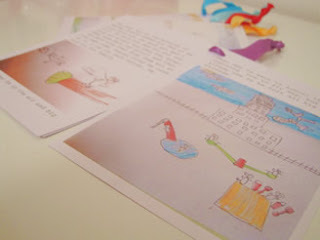 Dinosaur-boy made pictures for everyone. 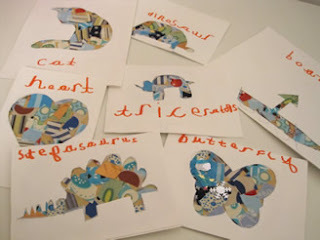 First he created a large collage sheet of fabrics, glitter and feathers, then on each card he drew a picture or traced around a cookie-cutter, which I cut out for him. We then stuck a section of his collage sheet behind the cut out and he wrote what each stencil was in his most careful cursive handwriting. It was so hard giving them away...I wanted to keep them for myself. 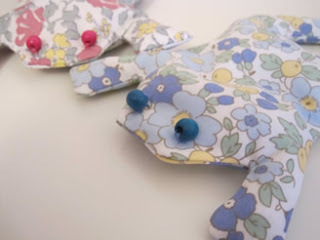 Finally they wanted to use the sewing machine to make bean-filled frogs for their favourite friends - a really easy project for them to do, where they can trace round and cut out the pattern, understand which bits need to be sewn together easily and enjoy filling them with beans and picking beads for me to sew on for eyes (is it the way I'm teaching it or are buttons and beads the most difficult things for children to learn to sew on? - mine find it so frustrating that I tend to do it for them). However, a non-sewing related hand injury meant that mid-project Zebra-girl had to sit nursing a bandaged hand while I finished hers off for her. We did so much making and baking that week that it seemed to go some way toward making up for how very little of that kind of thing we seem to fit in during term time - something that I really mind about, but the time after school seems to whizz by so quickly and there seems to always be so many other things that need doing. 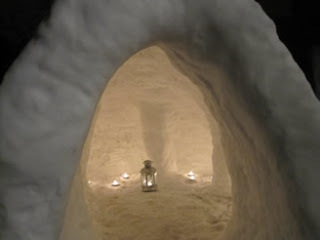 Our igloo was still standing this evening, but despite the fact that he could put all his weight on top of it without it showing any sign of movement, Mr Teacakes became concerned about the feline health and safety implications of the structure. Our cats loved going in there as soon they went outside and he had images of them being crushed by a whole garden full of snow collapsing upon them, so it has now been deconstructed and compacted into the most enormous pile of the snow that no one is likely to be capable of sheltering beneath, but that will be perfect for jumping on tomorrow morning. 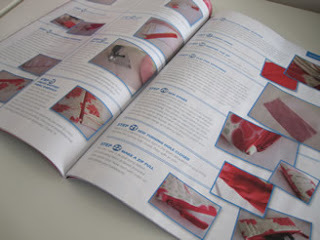 I think I forgot to say that I'll announce the giveaway winner in the middle of next week, so you still have time to visit here to win the magazine & fabrics, as well as to share what your favourite and least favourite words. I am loving reading them, as well as meeting so many lovelies that I hadn't known were there. 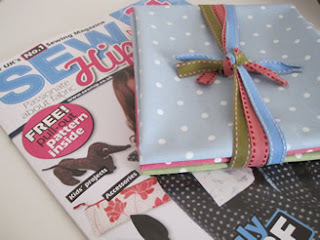 After several readers commented that they couldn't get Sew Hip magazine in their country/local newsagents/without leaving the house and having to tunnel their way through several feet of snow (delete as appropriate), I thought I might do a little giveaway of the issue that includes two of my articles (one a tutorial for a make-up bag, the other a long and geeky article on sewing machine feet) along with a little fabric goodness. 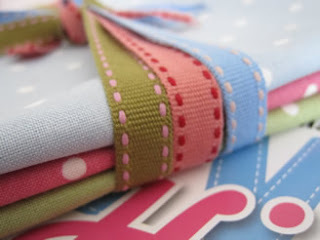 So as well as Sew Hip there are three polka-dotted Tanya Whelan fat quarters from her Grand Revival range and three half-metre long pieces of ribbon, picked for their delicious matchiness to the fabrics. I hadn't actually intended to match the little bundle to the title colours of the magazine, but regular readers will know how delighted I would have been when I noticed that I had done so inadvertently. Last time I did a giveaway was a couple of months short of being two years ago and I asked what your favourite word was...I'm tempted to ask the same question again, as I loved reading the answers so much and because also such a list tends to be ever-changing. Last time Catherine named two of my own favourites (well, actually, they were new favourites, but on reading them my thought: was oh my goodness, how could I have not known that 'eiderdown' and 'marshmallow' were two of my most beloved words!) and for some reason it pleases me immensely to have my favourites pinned down. However, so that I don't appear to be a complete one-trick-pony, I'm also going to ask you to tell me what your least favourite words are...those ones that make your skin crawl a little when you hear them for no apparent reason. So anyway, before I go I ought to share with you my own liked and disliked words. Favourite words: Eiderdown, Marshmallow (yes, yes, I'm a stealer), Lively (another favourite that I've adopted - this time from the little Teacakes), Bodkin, Rosy, Lemonade, Badger, Minty, Piglet, Apple, See-Saw, Cornerish, Wolf (because Dinosaur-boy says this word is the most delicious way - we often ask him to say it, just so that we can fall about oohing and aahing over it). Least favourite words: Soothingly, Lotion, Stupid, Pleasure (even though I do occasionally use this word), Fronds, Dodgy, Miasmic, Bliss, Salivating, Cosseted, Stain....the list goes on. Lurkers are most welcome to come out of the woodshed and announce themselves (without feeling bad for lurking at all, for I lurk on many blogs myself and know that often it is just through lack of time to comment, rather than a wish to hide in the corner...although sometimes it can be that too, for everyone takes to the corner occasionally). 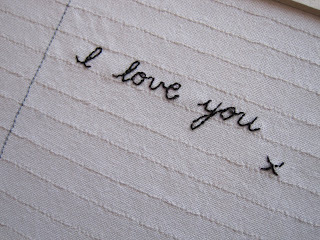 I'm so looking forward to hearing your words and adding to my list of favourites...and not so favourites. 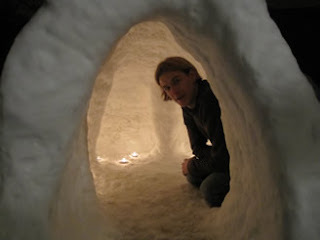 On Saturday morning, perhaps energised by his recent birthday celebrations, Mr Teacakes got out of bed very early and began marking out an igloo that would dominate almost our entire patio. 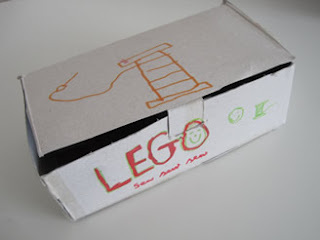 Tipping Lego from its plastic boxes, we tore downstairs to join him and began making bricks, using the boxes as moulds. By the time we had begun the second layer we were freezingly aware of how over-ambitious Mr Teacakes may have been in terms of size....by the third layer he too was wondering what may have possessed him to aim so large. 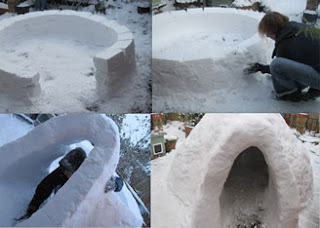 And so gradually his team of helpers drifted inside, occasionally knocking on the window to shout encouragement or ask him if it was nearly finished, occasionally venturing outside to help again for an hour or two. 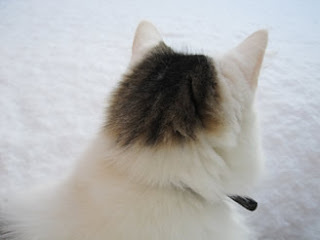 When it was nearly dark and the snow was pelting down and Mr Teacakes hands had been practically frozen onto a Lego brick box I remember looking through the window and laughing out loud at how adorably spirited he can be once he's decided to do something. While I would have cried and given up when one side of the doorway collapsed just as he was about to come in for the evening, he stayed out for another two hours re-building it and introducing a system of vertical struts to reinforce the walls. And finally this evening it was finished. It is big enough for all four of us to sit in and is one of the most beautiful things that I've ever seen. 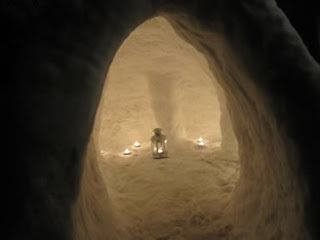 He filled it with candles before we went in and they lit up the little alcoves that the struts created and made it glow and sparkle. So wonderfully romantic, my first thought on going inside was that it would make the most wonderful wedding venue...what an absolute bugger that we're already married. The littlest Teacakes were beside themselves with happiness. As we all sat in there I said how sad it was that it would only be here for such a short time. Mr Teacakes said he thought that made it all the more magical and the moment he'd said it I realised that that's completely true. 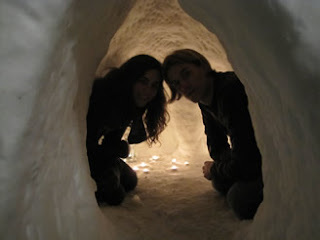 It's the fact that you can't really possess an igloo that makes it so lovely. Despite the fact that he is now lying on the bed barely able to move, he is thinking that if we did ever get this much snow again then he would like to attempt one with more rooms...I'm just feeling grateful that he hasn't suggested remodelling the igloo form entirely and making it something other than a bungalow. 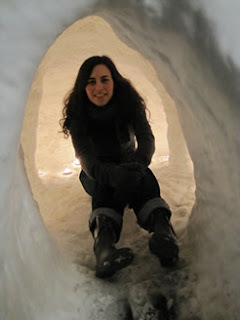 So here I am in our igloo enjoying perhaps our only evening in it, and also enjoying the fact that the snow has unexpectedly turned my hair from straight into large corkscrew curls. Hurrah! 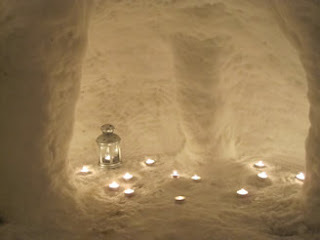 I hope you've had a wonderful weekend whether you've been cosy indoors or out having snow-filled fun. 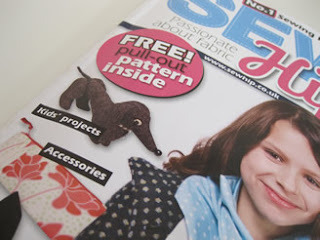 It seems such a long time ago that I wrote two pieces for Sew Hip magazine, that it's as if by magic that they have now both appeared in the January/February issue. Housebound by the snow with the littlest Teacakes, I have only just managed to get a copy, thanks to Mr Teacakes hobbling down the high street from his office with a suspected broken foot to winkle one out for me (do the footballing injuries ever end). 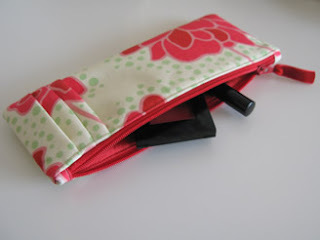 The first piece is a tutorial to make the pleated make-up case at the top of this post - I've been excited about this because I've found a new way of doing zip end covers that I think may be even easier than the way outlined in my original online zippered pouch tutorial (yes, it's that pouchy word). 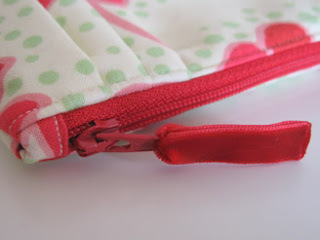 I will try and write up a tutorial for this covered zipper-end technique at some point next month if anyone would find that useful. Yes...that's my little make-up bag on the front cover - hurrah! 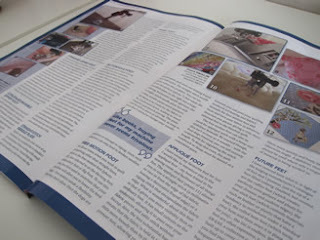 Sew Hip have made it all look lovely and I was really pleased with the layout. 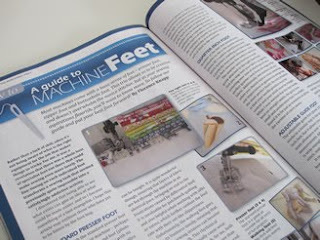 Next up was an article about sewing machine feet - yes, I've written about them before for Sew, Mama, Sew!, but they are my most beloved subject and actually this article encompasses even more feet and goes off piste to include other lovelies such as twin needles and different needle plates. Mr Teacakes, who normally proof reads things that are going to be published somewhere other than my blog (where I'm hoping that you will indulge me with the odd grammatical error and spelling mistake...please?) stopped half way though and said that I had entered new levels of geekiness with this article and that while he could check that the spelling was all correct, he didn't understand a word of it. He did, however, say that if someone would write an article that geeky about how to mic up an acoustic guitar in a recording studio he would be in heaven and so this was a 'good thing'. Anyway, blogless (I think) Sue just commented on my last post that she'd read my article and that her husband's wallet was now fleeing the country and so I'm hoping that it's not entirely unintelligible to those that actually sew. It is, of course, wordy and covers four whole pages....because it's hard to leave anything out when there's so much to say. There is a really excellent interview with Amy Butler in this issue too and I'm so pleased to find that she is releasing a book including ten bag patterns in 2010...I love looking through her books and have been having withdrawal symptoms after missing out on her last one due to not having anyone small enough around to justify buying Little Stitches for Little Ones. I don't think I mentioned that in the summer I met with Jo and Helen to go to a book signing that Amy Butler was doing in Liberty. Jo had met her before and told us all about how lovely and friendly she was, but on entering the fabric floor I saw her at the other end of the room (for those that haven't been there, it is a huge room and I'm absolutely sure that she would have been completely unaware that a loon had entered the building, so no harm was done, apart from to my own grip on my sanity) and felt so giddy that I couldn't stop laughing and had to go and bury my face in some bolts of Tana Lawn while I attempted to compose myself. I could only explain it later to Ian as being comparable to meeting the sewing version of Robbie Williams (not the best analogy to someone who doesn't idolise Robbie, but I think he got the gist)...anyway, once I'd composed myself I went and joined Jo & Helen in saying hello and she showed us some photos of the her new Love fabric collection on her iPhone (which I think is arriving here late January)... oddly, afterwards it seemed quite bizarre that I would have been starstruck as she is so very down to earth and normal. (Likewise, Robbie, who, a couple of years ago started going to the same gym as my sister, and from a couple of treadmills away was deemed to be positively normal). Anyway, I was going to share with you what the little Teacakes gave me for Chr***mas (the stars are because I promised myself no more yuletide mentions, not because the word is an actual expletive), but actually, it's so lovely and perhaps so much the most amazing present I think I have ever, or will ever, receive that I can't possibly make it share a post with anything else....so I shall go off and admire it and perhaps tomorrow or the day after, you might too. Would you like this sandwich? It seems tantamount to asking you to eat turkey sandwiches on January 6th to be showing you Christmassy images, but I can either offer you the sandwich now or in July, when it will have become truly stale and seasonally inappropriate. But curses, in future I shall try and do all my Christmas-related blogging in December in the rosy glow of boxing day to spare us both from this next year. 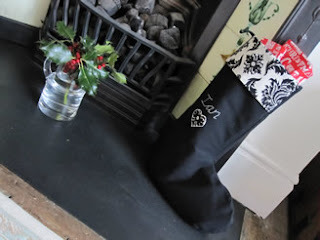 I decided to make Mr Teacakes his own Christmas stocking this year...it is black, manly and was filled to the brim with chilli-related food goodness. After Dinosaur-boy brought home a beautiful little stocking that he had stitched at school, Zebra-girl was overcome with jealousy and insisted that we make more the very next day. 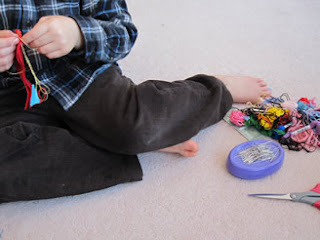 In 'boy-in-the-know' mode Dinosaur-boy gave us instructions as to how we could go about making them and we passed a happy couple of hours on the floor of Zebra-girl's room jabbing our fingers, re-threading needles, and trying to stop the cats from attacking the thread. When Mr Teacakes asked what we'd got up to that day I showed him the photos that I'd taken of the Teacakes sewing that morning. You love their little hands and feet, don't you, he observed when he looked through them. That could be very true...my camera lens seems to gravitate towards them...those and appley cheeks. ...while at the same time being so very odd. I wondered if he would look at it and wonder how it differed from me writing it on an actual piece of paper and framing it...but being my lovely Mr Teacakes he completely got it and afterwards told me that it was one of the nicest gifts I'd ever given to him. 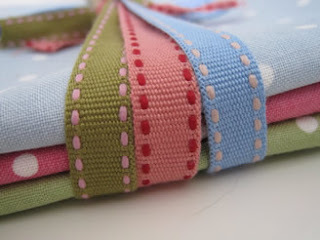 I have so many lovely gifts that I was on the receiving end of to blog about, but as they are book and fabric related, there will be no need to mention Christmas when I show you them so they can take up a whole post of their own without feeling like unwanted second-helpings. Hurrah! So the New Year - the cakes, mentioned in my last post, passed the test and nobody was able to guess at what the secret ingredient might have been. After a wonderful evening of magic tricks, stair surfing and other dangerous games we walked home with our babes at 2 in the morning just as fresh snow began to fall (dinosaur-boy was perky having slept on an airbed near the food table for almost the entire evening (no doubt with dreams of all sorts of lovely nibblets), while Zebra-girl finally looked sleepy-eyed having stayed up to see in the new year with her lovely friend). (this photo was taken at my Mama's house - one of my favourite cosy images to remember from this year's Christmas spent there...moments later the glasses were filled and the merrymaking began). And here is our lovely Snow Cat (it's become a seasonal name), Bella, who after a day or so of marauding anxiously by the back door wondering where we had put the garden eventually ventured out and realised that not only does the lovely whiteness give her new-found chameleon-like tendencies, but also that there is much fun to be had in it and she can be seen ploughing up and down the garden joyfully startled by every icy thigh-deep step she takes.